Hello everyone! Today on the show we have Raj Bhaskar, co-founder and CEO of Hudlr, a mobile finance app for freelancers and entrepreneurs to manage their business finances. This is his second software venture; his first was real estate management software for affordable public housing called VisualHOMES that was acquired by Yardi Systems in 2010. Today we’re talking about how Hurdlr helps Uber drivers save 20-30% annually, the strategy that got them over 20,000 users in the first 6 months, and the one unique thing that Hudlr is doing to acquire more customers. [2:29] – Hurdlr helps freelancers track how much they bring in and their expenses and how much they owe in taxes. [3:07] – Uber drivers are independent contractors and receive 1099s, meaning that they are responsible for their own taxes. Many weren’t aware of this and got a rude surprise at tax time. Hurdlr will help avoid huge surprise tax payments and the issues with tracking. [4:18] – Hurdlr helps UBER drivers save 20% percent to 30% a year. Hurdlr also supports AIRBNB hosts and now all freelancers. [15:13] – 99 Deductions is a great tool for acquiring new customers for Hurdlr. Referrals from current users are the primary driver for new Hurdlr customers. Male: Do you want to impact the world, and still turn a profit? Then you are in the right place. Welcome to Growth Everywhere. This is the show where you will find real conversations with real entrepreneurs. They will share everything, from their biggest struggle, to the exact strategies they use on a daily basis. If you are ready for a value packed interview, listen on. Here's your host, Eric Siu. Eric: Before we jump into today's interview, if you guys could leave a review, and a rating, and also subscribe as well, that would be a huge help to the podcast. If you actually enjoy the content, and you'd like to hear more of it, please support us by leaving us a review, and a subscribe to the podcast as well. Thanks so much. Alright everybody, today we have Raj Bhaskar from Hurdlr, which is a mobile finance app for freelancers, and entrepreneurs to manage their business finances. Raj, how are you doing today? Raj: Pretty good Eric, thanks for having me. Eric: Yeah, thanks for being here. Why don't you tell us a little bit about yourself, and kind of what you do. Raj: Sure. I'm the co-founder, and CEO of Hurdlr. This is my second software venture. I had my first software venture from 2000 to 2010. Built that up pretty nicely, bootstrapped, and we got acquired in August 2010. That was a real estate management platform for affordable and public housing. Build that up to about a half million units, couple million tenants. We were doing around 200 million in monthly rent processing, and got acquired by a company called Yardi, which is a quiet leader in real estate, based in Santa Barbara, California. They have about half of all US apartment buildings in their software, so pretty good deal overall. I'm happy to say that all my customers, and employees are still there, which I think is pretty good. I like building up businesses to last. Eric: Nice, great. Tell us a little more about Hurdlr. Raj: Sure. Hurdlr is a mobile finance app for entrepreneurs and freelancers to manage all their business finances, and also helps them lower their taxes. We built a real-time income tax calculation engine. It supports all 50 states, and DC. Any time on your phone, you can see how much you should set aside for taxes. After you take that out of whatever you've earned, then you can see what's really your take-home pay, is what we call it. So, what you get to keep, and that's what you can spend, and that's what you should plan from. We help freelancers, really, maximize their income, maximize their deductions, and lower their taxes. Eric: Interesting. Okay, you started with Uber originally, tell us about that, and why you ended up kind of expanding into other areas. they are independent, meaning they receive a 1099 from Uber, therefore, they are responsible for their own taxes. Most of the drivers, we think that they weren't aware of that upfront, and they came to learn about that as tax season arrived. We came across that, because we were first looking at, since we are a mobile only product right now, we don't have a desktop app, we looked at specifically mobile professionals. That's how we landed on Uber drivers, in addition to their growth. First target market were Uber drivers. We've been working with them for, with a good set of Uber drivers, for many months now, and now we are releasing an app to support all freelancers. Eric: Got it. It sounds like, you know, if I am an Uber driver, and I'm not too attuned with how the freelance economy works, or you know, how I'm supposed to save money on this, I would literally load up Hurdlr, and trust you guys to kind of help me make sound decisions, right? Raj: Exactly. We pull in their Uber payments, we track their expenses, and their mileage, and then our real time tax calculation engine also estimates their taxes for them, so they can see easily that this is what I made this week, this is what I get to keep, this is what I should set aside for taxes. Eric: Okay. On average, I mean if you can share these numbers, how much do you think Hurdlr helps Uber drivers save on an annual basis? Raj: I think savings are in the 20 to 30% range. It depends on how active the driver is, as well as what other sources of income they have. Eric: Nice. Okay. You've decided to expand into other areas, such as working with Airbnb hosts. I guess, how far are you expanding, you know, what different companies are you working with now? Raj: We support Airbnb hosts, we have professional speakers, and authors using our app, and now we are releasing it soon for all freelancers, and entrepreneurs. We wanted to test it out in core markets first, get positive feedback from strangers that are actively using it in the market, and we wanted to go a full year of tax season as well, and get positive reviews from our users, CPAs, or tax filers. We've done that now, so now we are ready to open it up to all freelancers. Eric: Awesome. How many customers do you have today? Raj: We released our apps publicly around September, and we are over 20,000 users now, and we are just nearing the end of March. Those are active users, so a lot more downloads than that. I can't disclose the download numbers, but pretty good overall. Growth rates are pretty solid, so I think that number will change drastically in the next few months. Raj: It's kind of interesting how that happened. For Uber drivers, since we found that they needed quite a bit of help with tax, we put up a blog post for the top 16 deductions for Uber drivers. It was very targeted, it was very high quality. We worked with CPAs on it. We wanted to give them value. We shared this blog with the top driver groups on Facebook, and Reddit, and people loved that. I think, on the blog, we also allowed them to sign up for early access to our app. That's how we build our beta group. Eric: Nice, okay. How many users do you think you drove from that one article, or resource? Eric: A few thousand, okay. Give or take, let's say 5,000 or so? More or less? Raj: Well, I think within the first couple weeks, it was 3,000 roughly. Raj: This was actually about a year ago, and that's how we established our first pilot group. I think it's probably netted quite a few since then, like in the last whole calendar year, but I think the main purpose of it was to share value with users, and then build up that initial beta group to find folks who really wanted an app like this. Raj: Pretty quickly, I think within a week or two, it was a few thousand. Eric: Yeah. I think it's super smart to do something like this. You know, there is a few, you know, marketers out there nowadays, doing what we call an advertorial, where, you know, a really good piece of content would be produce, and maybe at the end, there might be a link to kind of the resource that you have, which might be an app, like Hurdlr, or it might be some type of, you know, free resource. I think, as long as you are adding a lot of value upfront, and producing, you know, this piece of content, it's going to work out. I guess, diving into that piece you are talking about, you mentioned you worked on it with, you know, you had different CPAs contributing to putting it together. I mean, how much time, and money do you think you spent on that one resource? Raj: I think, on that first go around, is probably around ... I mean, actual money out was probably $5000. Time was quite a bit, so pretty significant, because my personal values, like, I won't put out any crappy content, so even though it served as a marketing vehicle, we wanted it to be extremely valuable to users. If that's the first thing we are putting out, and then we want to see if users are interested in using our app, if that's the first experience they have with us, it has to be solid. They have to get a good feel, and imagine what the app might do. You have to have high quality content, and give them value, high quality value, for them to feel like they should trust you, to try your app out. Eric: Okay. When you say, "High quality content," what does this resource look like? I know I said article earlier on, I'm probably wrong about that, what was this exactly? Raj: It's a blog post for the top 16 deductions for Uber drivers. Raj: We researched, and we pinpointed literally the top 16, with specific examples that an average Uber driver can understand, in plain English. Then, we designed it nicely, too. Uber drivers are on the road, right? They are mobile professionals, so we made it so it's very mobile friendly. These are all tiles that they can tap on if they are interested in that deduction. If they are not interested in that deduction, or if they don't feel like they use that type of expense, or have that type of expense, they can just quickly scroll, and go to the other ones. We wanted to give them a field for, "Wow, this is what these guys put into their education, imagine what the app will look like." to get more information. Once again, that's www.growtheverywhere.com/help . Just to let everyone know, everyone should check out the interview that I did with Neil Patel, he gives away content for ... He spends $30,000 on just one guy, and he gives it away all for free. Similar concept here. You might spend five grand, but, you know, think of it as a marketing costs, it's going to pay for itself down the road. I think, you know, a lot more people should be doing it. You know, everybody's talking about content marketing nowadays, but Raj, like you mentioned there's a lot of crappy content out there nowadays, and I'm glad that. specific examples for the type of freelancer, or entrepreneur you are. We kind of took that blog post, but then we did it for 20 different types of entrepreneurs, and turned it into a platform where you can engage, even CPAs, and tax advisors, engage them in the discussion, and kind of make it more of an education platform, then just a blog post. Eric: Yeah. That's another big one. I was looking at the content that we produced in the past couple of years, and just like so much of this can be re-purposed. You spent all of his money, and effort on it, why not try to, you know, think about how you might be able to make this piece of content go into other verticals. I love what you are talking about over there. Raj: Yeah, and when you talk about costs, that's where we are taking that 5000, and probably 20X that. Eric: Yeah, and that's no problem, because it pays for itself. 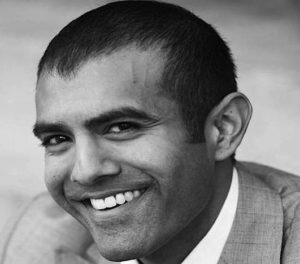 Raj: When you talk about Neil Patel, and what he's done, so that reminded me of that. We believe in that, and when you do that type of evergreen content, and giving value, it's always worth it. Eric: What's the length of, you know, these posts? Raj: The way we designed 99 Deductions, for each deduction, we wanted it to be digestible. We put strict parameters when we were working with modern CPAs, on how to write it up, but it's basically a two sentence overview, maybe three, if the additional sentence is warranted. Then, the example has to be completely tailored to the Uber driver, the Airbnb host, the graphic designer. That can be, also, 2 to 3 sentences. Then, if someone wants additional details, there are up to five bullets. Then, we link to any forms, as well as we have made interactive forms, so if someone wants to see where they go into this particular IRS form to claim the deduction, we actually highlight that field. We kept it so that it's friendly on mobile, because we are still targeting folks that ... What we found is there are all these sporadic blog posts out there, but there wasn't a single source for someone, a freelancer, to go, and get educated quickly on taxes, without having to first talk with a CPA, or tax advisor. You can get a good basis, and then make the interaction with the tax filer much more efficient. Eric: I love it. We are going to drop this in the show notes, 99 Deductions. I'm going to make sure I check it out, just to make sure I'm not missing anything in my world of understanding all this stuff. So, when I was looking at Hurdlr, you guys are in the Google Play store, and I see 375 reviews, 4.5 star average rating, how that worked out for you? service. When we are going in it with finances, and taxes, most people, regardless of what they do, need help with finances, and taxes, so we keep that as part of our culture that, it's not just an app that automates, we have to educate, and we have to handle it as much as we can. Eric: Okay, makes sense. How did you go about getting those 375 reviews? Raj: All of those reviews are from actual users, coming through our app. Eric: Did you try to incentivize them in any way? Raj: Nope. No incentive. The app had some algorithms that, when we think we have an active user, we ask them how they feel about us, and then prompt them for a review. Eric: Got it, so you are just asking them at a critical point then? Eric: Cool. Love it. What is one unique thing you guys are doing to acquire more customers today? Raj: I think 99 Deductions is pretty interesting. I think that's pretty unique, and that we are trying to educate users. If they think they want to automate things, they can come to us. For us, I mean, the primary driver right now are our referrals from existing users. Eric: Interesting. Okay, because the experience they had is just so incredible, right? Raj: Yeah. We are very focused, at least early on, we are focused on Uber drivers, and then Airbnb hosts. I think it lended itself to that refer ability, and we started getting so many requests to open it up to different types of freelancing. Eric: Love it. All right, Raj, how old are you by the way? Raj: I just turned 39. Eric: Just turned 39, okay. What piece of advice would you give your 25-year-old self? Just one piece of advice. Raj: One piece of advice for 25-year-old self. I would do a lot of cold calling. Eric: What's the story behind that? Raj Bhaskar Page 7 of 7 salesman, per se. You're not selling something, you're really trying to help the person on the other end, and I think that sets you up for the rest of life in business, and in personal. Eric: Completely true. I think there is a lot of different archetypes for salespeople. When you can become more well rounded, when you become the consultant, and the expert, and you know how to push people kind of to drive that conversion home, I think that's when you are at the highest level. One other question I want to ask you, what is one must read book you would recommend to everyone? Raj: I think The One Thing, by Gary Keller and Jay Papasan. Eric: Great book. I think it's super important. I mean, you talk about focus right now, and I think, you know, for people like me, that have trouble with focus sometimes, you know, that is the right book to read to kind of get things on the right track. Love that book, we will drop that in the show notes. Raj, this has been fantastic. What's the best way for our people to find you online? Raj: Best way to find me online is Twitter, @Hurdlr, or at hurdlr.com. I hang out there, actually, quite a bit. We do a live customer service, and I participate in that. That's the one thing that I think that, if listeners get one thing out of this, other than some growth ideas, it's to spend time, like dedicate time talking with your actual customers. That's before the sale, during the sale, and well after the sale, so you know like what their needs really are, and you can empathize, and really try to meet their needs. Eric: All right Raj, thanks for doing this. Everyone, this is Raj Bhaskar from Hurdlr. Make sure you check them out. Thanks so much. Male: Thanks for listening to this episode of Growth Everywhere. If you loved what you heard, be sure to head back to growtheverywhere.com for today's show notes, and a ton of additional resources. Before you go, had the subscribe button to avoid missing out on next week's value packed interview. Enjoy the rest of your week, and remember to take action, and continue growing.